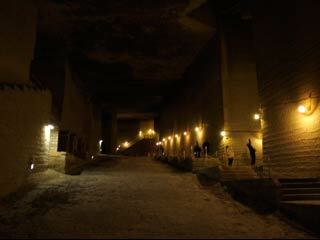 The Oya Museum (大谷資料館) is the site of the Oya Stone Mine (大谷採石場). The mine dates from at least the eighth century AD and stone from the mine was used widely in the area. Removal of stone from the mine has created cavernous a space with a floor area of about twenty thousand square metres underground. Today, many events and concerts are held in the mine.